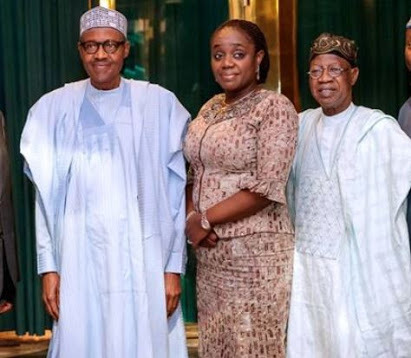 Nigeria's finance minister, Kemi Adeosun who is in the middle of an alleged certificate forgery scandal, was seen yesterday with president Muhammadu Buhari and AFREXIMBank Board of Directors in State House, Abuja. Reacting to the scandal, Minister of Information Lai Mohammed said, “The government has spoken. NYSC is part of government and I have nothing to add to what the NYSC has said."